SI 2019 theme is Building a Vocal Community. Additionally, SI 2019 is the 40th anniversary of Summer Institute, and this is also the very first SI that we are known as CERSI… if you wanted to work any of those benchmarks into the design. 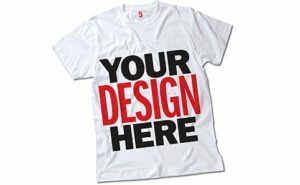 What do you get for designing the t-shirt? This year, you will receive TWO free t-shirts. You could get one t-shirt for you and one for a friend, or two for you – one colored, and one white for tie-dye! (Or you could give BOTH of them away – it’s entirely up to you what you want to do with them.) More importantly, you will have the pleasure of seeing your artwork on everyone’s backs while at SI 2019 (and, knowing us, years to come). Artwork should be at least 300 DPI. PDF, TIFF, or PNG formats accepted. If saving in PDF, please ensure fonts are either included or outlined. T-shirts are printed using a traditional screen-printing process. While artwork with multiple colors (up to 14 colors, though fewer colors would be better) are accepted and encouraged, full-color images will NOT be considered as they cannot be screen-printed. If you aren’t sure what any of that means, you MAY still submit a design! However, a design that fails to follow the artwork requirements may be altered significantly in order to make it print-ready. Please send all submissions and questions to [email protected] by March 1st, 2019. We can’t wait to see what you come up with!